This seed spawns you near a ravine, but it is not ordinary and surpasses others having a long length. 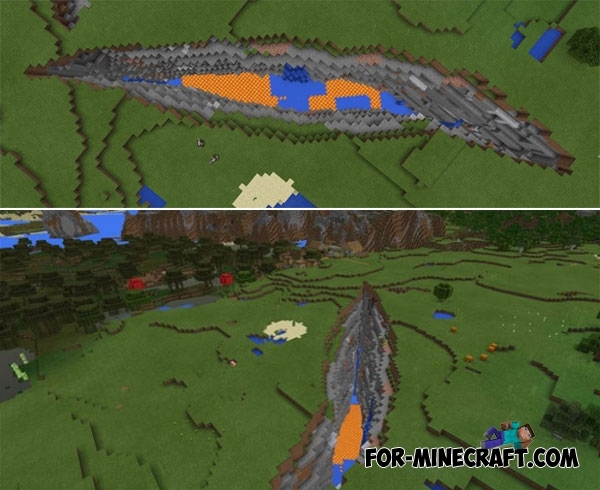 Now this is one of the biggest ravines found in Minecraft 1.2 using seeds. 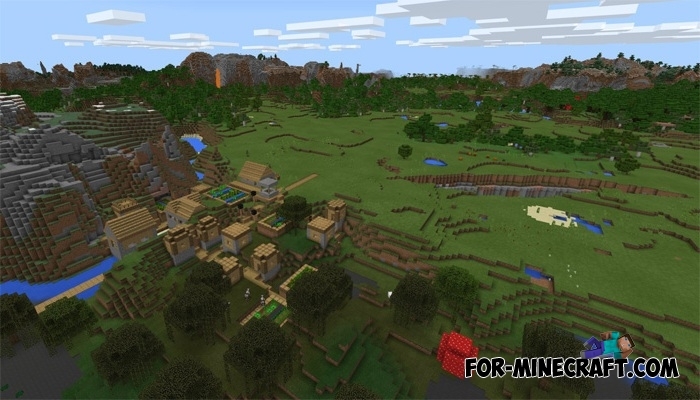 In addition to it, a populated village is built nearby where you can exchange goods and it can be an excellent beginning to explore this ravine. If you go down you will find a lot of lava with water and there is also a small chance to find hidden treasures or abandoned mines. First of all, you need to go down carefully and then move slowly as lava can become the last thing you see. But you will not do it in vain thanks to valuable resources and a small trip. After you finish and get out, run to the village where you can spend the night or stay alive.